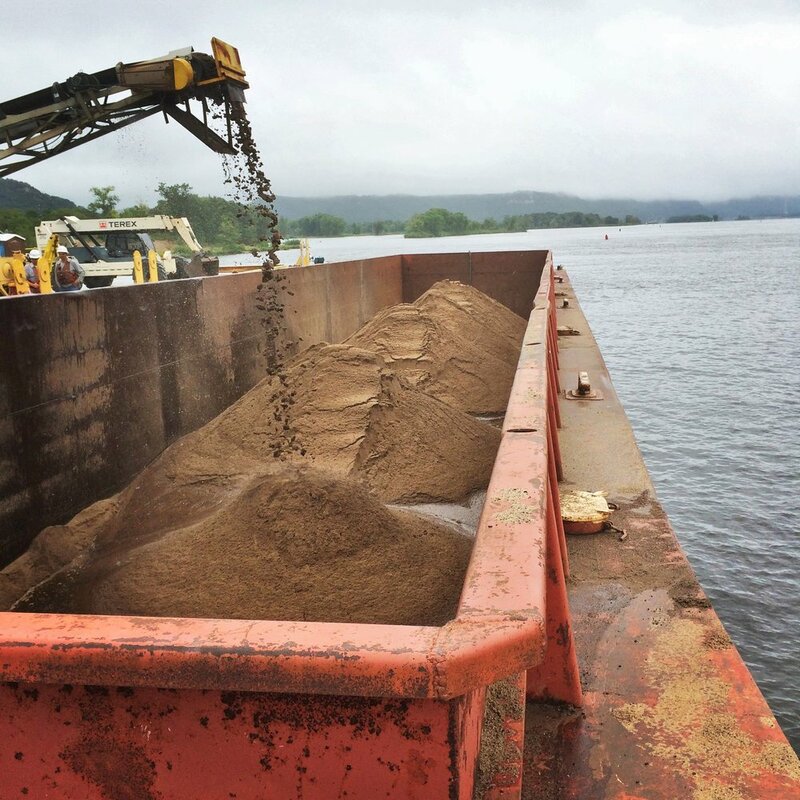 Lake Pepin Legacy Alliance (LPLA) has spearheaded a large-scale restoration project to rejuvenate the areas most impacted by sediment. The project aims to improve water clarity, create fish and wildlife habitat, and increase recreational access in Upper Lake Pepin. It will also provide a beneficial use for the dredge material in Lower Lake Pepin, which is suitable for the construction of new islands designed to redirect sediment flows and reduce overall impact. Onsite dredge material can be used for capping islands as a top layer. Island construction has already been done successfully throughout other portions of the Mississippi River. The Army Corps of Engineers (ACOE) is leading implementation and funding 65% of the costs, but LPLA is responsible for fundraising the local cost-share, estimated to be $3.5 million. Last year, LPLA raised an anticipated $867,500 through grants and municipal pledges, which could be enough to start construction in 2020. The WI DNR and LPLA also successfully applied for a pilot program that will direct more federal funds to the project and expand the scope to include features with social and economic benefits, such as dredging the Bay City harbor and improving access to the lake. Lake Pepin Restoration: Why do it like that? Organizations: Upper Mississippi Waterways Association, Friends of Pool 2, Minnesota Conservation Federation, and the Lake City Sportsmen Club. For Section 1122 Pilot Program: U.S. Representative Ron Kind (WI), U.S. Representative Jason Lewis (MN), U.S. Senator Tammy Baldwin (WI), U.S. Representative Eric Paulsen (MN), and the Upper Mississippi River Basin Alliance (representing 5 states). LPLA Executive Director, Rylee Main, with U.S. 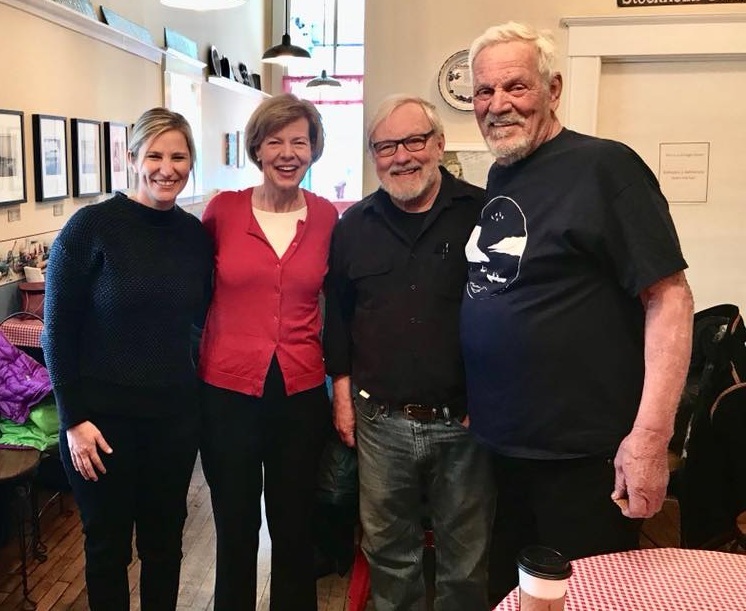 Senator Tammy Baldwin at the Stockholm Pie & General Store. The aerial photos below show island construction projects already done along the Mississippi River. They are screenshots from an interactive web application called "Life and Death on the Mississippi River" that was created by The Center for Global Enviornmental Education at Hamline University in St. Paul. Users can learn about changes to the Mississippi River throughout time, learn how island construction is an effective management strategy, and even practice choosing appropriate locations for island construction projects. Stressor: Wind/wave action, water clarity. Restoration Measure: Bank protection, island restoration/creation, creation of emergent wetlands, seasonal water level variation through moist soil management, isolated wetlands. 2. Increase submerged aquatic vegetation. 3. Redirect sediment accumulation to improve habitat and species diversity. 4. Improve or maintain habitat for riverine aquatic species. 5. Improve or maintain habitat for migratory birds. 6. Improve or maintain habitat for backwater fish. Scan the picture gallery to learn more about successful island reconstruction projects along the Upper Mississippi River.